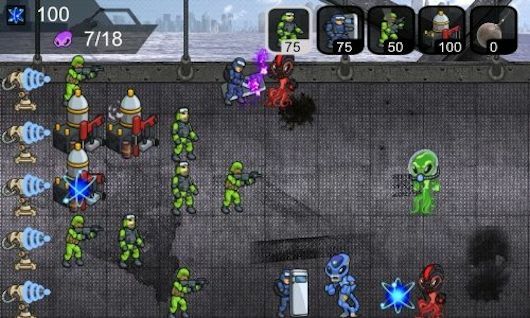 Amazon.com has promised to make a paid app free every day in the Amazon Appstore, and today's app is Humans vs Aliens. Luckily, your booze-fueled hillbilly doesn't require any energy. He doesn't put up much of a fight either, but against an alien grunt--he'll get 'er done. With OpenFeint, unlock 18 achievements and compare your scores with friends as well as the rest of the world. So, go save the world--and let everyone know about it. Amazon.com opened up the Appstore despite a lawsuit by Apple, which has previously trademarked the term "App Store." Microsoft has filed an appeal against that trademark, saying the term is too generic. Amazon.com has responded to the lawsuit in the same manner.